Sep 28, 2017 | By CENS | KUAN KUNG MACHINERY CORP.
With over 25 years of expertise, Kuan Kung Machinery Corp. provides varieties of engine parts and accessories as a professional supplier in the global market. The ISO 9001:2000 and SGS certified firm offers a complete spectrum of engine parts, including cylinder liners, liner kits, piston rings and more. Also it developes all models of IRON Casting Pistons for Komatsu specification. Aware that quality is the key factor to gain people's attention, Kuan Kung continues to import advanced production equipment, including UltraSonic Cleaning Machines, Inner Dimension Drilling, USA-made “Sunnen” Honing machine CK-21 and Japan-made Honing Machine. Also notable is that the firm has built a factory specifically dedicated to liner production. 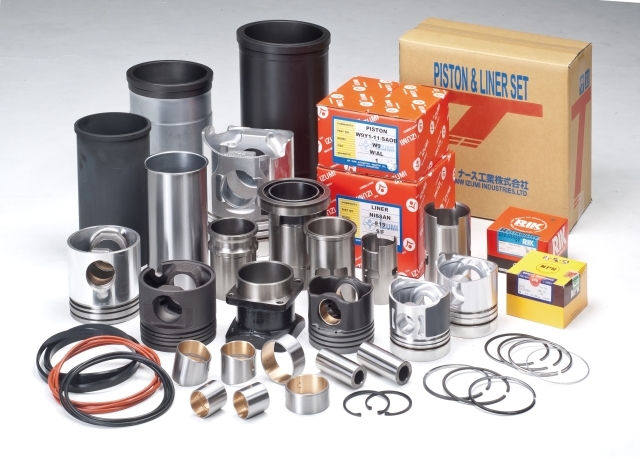 Bolstered by seasoned know-how of manufacturing and the abovementioned equipment and committed to quality and service, Kuan Kung is a absolutely reliable business partner in the domestic and international market.